Game 1 began with Grand Valley looking very much like the #1 team in the country, as they picked apart the solid SVSU roster to claim a 2-0 lead at the half. SVSU was able to make the second point a bit closer, but overall, GVSU used a controlled pace to pick off one Cardinal at a time in each point. The big takeaway from the first half was how disciplined GVSU looked. Very few mistakes were made from the Lakers, as their leadership and experience were on full display. The second half began with another decisive point for the Lakers. They took down SVSU in less than 7 minutes to claim a 3-0 lead. At this point in the day it looked like the Lakers were going to have no trouble at all, and it would just be two routine blowout wins to boost their record to 15-0. To Saginaw’s credit, that was not the case. They did not give up at Battle of the Valleys, and the next hour of the day was largely theirs. Down 3-0 with around 20 minutes left in the contest, SVSU upped their intensity to try to get on the board. While they benefited some from GVSU playing more of their younger players, the performance this half was still impressive by SVSU. The Cardinals took two straight points (the second was earned with under a minute to play), making the final score 3-2. Neither of these points came easy, as SVSU struggled each time to close it out once they put the Lakers on the 10-count. Thanks to great team coordination, the Cardinals did have what it took to close out each point, making for a very respectable final score. Game 2 was a far different story than game 1. Don’t let the final scores fool you, this match was much closer to going the other way. Each of the first four points in this match could have gone either way. Point 1 went to the Lakers. GVSU didn’t have a huge man advantage until late in the point, thanks to some catching. It took much longer for the Lakers to get SVSU down on the 10-count in the first point. The next point SVSU played much more scrappy, and they were able to place GVSU on the 10-count early on thanks to some strong ball-control and timely transition throws. Despite a strong push from GVSU, the Cardinals once again had enough teamwork to knock out the last few Lakers to tie the score. SVSU’s team throws were picture perfect this entire point, especially when eliminating Nolan Stanko and Brandon Meisel to finish off the point. It looked like a completely different team came out to start the second half for GVSU. 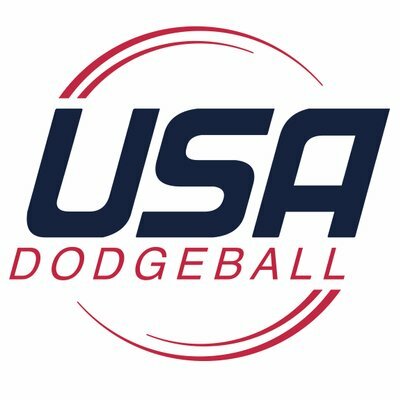 The first 3 minutes of that half was arguably the best dodgeball they played all day, as they manufactured a 9-2 man-advantage on SVSU in a very short amount of time. But this was when the point swung back in SVSU’s favor. Thanks to a myriad of catches and clutch toe-shot throws from SVSU (most notably Kyle Bruce) the Cardinals inched their way back and eventually had a 5 on 4 advantage in this point. The Cardinals were in position to possibly take a lead on GVSU in the second half. They were in position to be the first team to beat GVSU in nearly a year! The Lakers were having none of that. This time around, it was GVSU’s fantastic team throws that made the difference down the stretch, and they took a 2-1 lead with about 18 minutes to go. SVSU did not go lightly, as they kept the following point close as well, but the Lakers had too much depth for the Cardinals, and they claimed a few more points before the final buzzer sounded. GVSU 4, SVSU 1. For GVSU, it was most of the big names you’re used to hearing. Seniors Brandon Meisel, Aaron Krafft, and Alex Jonauskas all played well. Ben Smart may have been their top overall performer on the day though. He had a number of big catches (as expected), and plenty of great throws as well, including a few toe-tapping outs thrown on Kyle Bruce (the two spent a large portion of the day trying to take each other out, and both were successful at times). Outside of those players, Nolan Stanko was a steady performer for GVSU, and Freshman Nick Hehl turned some heads with his outstanding catching throughout the day. The Lakers are stacked with both top end talent as well as depth. They didn’t have their most dominant day, but it was enough for me to remain confident they will win it all this year. On Saginaw’s side there weren’t many surprises. Kyle Bruce remains one of the top players in the country as far as I’m concerned. He had an up and down day, but few players have the abilities that he does. Another player who was equally as explosive as Kyle Bruce at times was his brother Jake Bruce. I believe MDC and Nationals will be huge breakout tourneys from him, as the league will begin to realize he is a top tier performer. He was a great catcher for SVSU all day, but his improved throw is what I noticed most. He is an all-around player that will give opponents fits over the next few months. Ryan Anguilm and Grayson Hood both had some fantastic moments, but unfortunately when you play GVSU you aren’t going to consistently get people out with ease. These two guys are players to watch for SVSU. They will be keys for the Cardinals if they plan to make a deep run at MDC / Nationals. Lastly, Kenny Mize had another strong day, reinforcing the notion that he is one of the top catchers in the league. He also has this team playing as disciplined as I’ve seen them play in years. Despite the losses, it was a storng start to the semester for both Mize and his team. The Cardinals are my early pick to finish #2 at MDC. They aren’t at the same level as GVSU, but I think right now they have a better mix of experience, talent, and teamwork than any of the other Michigan teams. The biggest concern for me is that they may be a bit top-heavy in terms of throwing. But that doesn’t hurt them too much since they are possibly the best catching team in the league.